Cox was attacked and left bleeding on the ground in West Yorkshire. Following the assault, a 52-year-old has been arrested. One witness told the TRT that he shouted “put Britain first” before the attack. As the news spread, tribute starting flooding in. Politicians like David Cameron, Jeremy Corbyn, and US Secretary of State John Kerry gave their tributes. Her husband Brendan said that she wanted to unite people and fight for the hatred that every day kills many. After the attack, Vote Leave and Remain suspended the campaign in the EU referendum. Now, Cox has become the first sitting MP to have been killed since 1990. Ian Gow was the last MP to be killed. The man who was arrested has been found to be named as Tommy Mair. Labour leader Mr Corbyn said the country would be “in shock at the horrific murder”, describing the MP as a “much loved colleague”. He added: “Jo died doing her public duty at the heart of our democracy, listening to and representing the people she was elected to serve. “He shot this lady once and then he shot her again, he fell to the floor, leant over shot her once more in the face area. “Somebody tried to grab him, wrestling with him and then he wielded a knife, like a hunting knife, just started lunging at her with a knife half a dozen times. People were screaming and running from the area”. Another eyewitness Hithem Ben Abdallah said that Cox was left bleeding and lying on the pavement. He, further, stated that he was in a cafe next door. He went out to see after people starting screaming. After a fight, the man stepped back, and MP got involved. Abdallah told that the weapon appeared to be handmade and the another man who was trying to stop the murderer, kept fighting him even after seeing the gun. “He was kicking her as she was lying on the floor”, he said. Kerry referred this incident as the murder of democracy and an assault on everybody who cares about and have faith in it. JoCox was born in Batley and got elected in 2015. She got her education from Heckmondwike Grammar School and did graduation from Cambridge University in 1995. She had been a former head of policy for Oxfam and also had worked as an adviser to Sarah Brown and Baroness Kinnock. 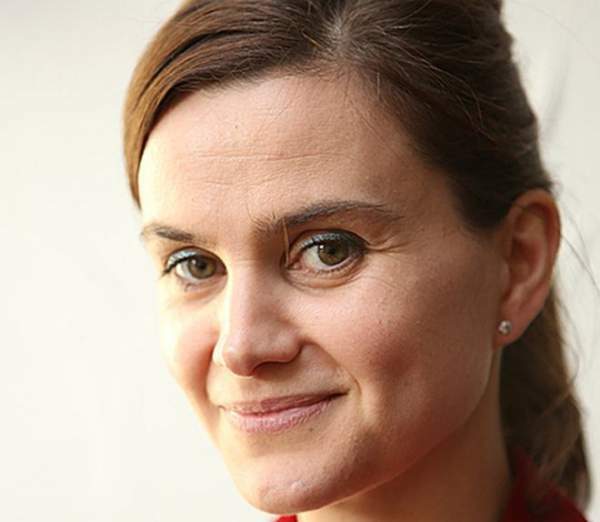 The death of Jo Cox is also a threat to the African Continent. We all see the way and manners at which terrorism are penetrating the African region and the world. If measure does not put in place, then the whole world is at most risk.